Horror films, like popcorn action flicks, are a tough nut to crack. Sometimes they’re littered with cheap jump scares and gore to try to elicit a raw sense of emotion, which can be a highly effective way to use the medium. In other instances they seek to build a world worth peering into, one so terrifying that you’d never want to visit it, just vacation in for an hour and a half. A Quiet Place is one of those occasions. Emily Blunt in A Quiet Place (2018) – image for this review provided by Paramount Pictures. With its shorter runtime, A Quiet Place is able to immediately thrust us into this dangerous world, with real repercussions, in just under five minutes. There are creatures, yes, but we don’t get minutes upon minutes of tired exposition explaining what they are. Instead, the film merely shows us with detailed set designs and a constant guessing game of fear and loathing, as the cast tries to figure out how to live in this harsh reality. The less you know the better, as it makes all of those internal “but how are they going to…” machinations even more satisfying. Best seen in a theatrical setting, the film’s use of sound is harrowing, to the point where you could barely hear a pin drop. John Krasinski and Emily Blunt‘s family are sometimes flawed but ultimately human, especially when you account for the fact that Millicent Simmonds, a deaf actress and advocate for the community, is fully incorporated into the narrative. Even though there’s very little dialogue it says more than most horror films could ever hope to in a shorter amount of time. 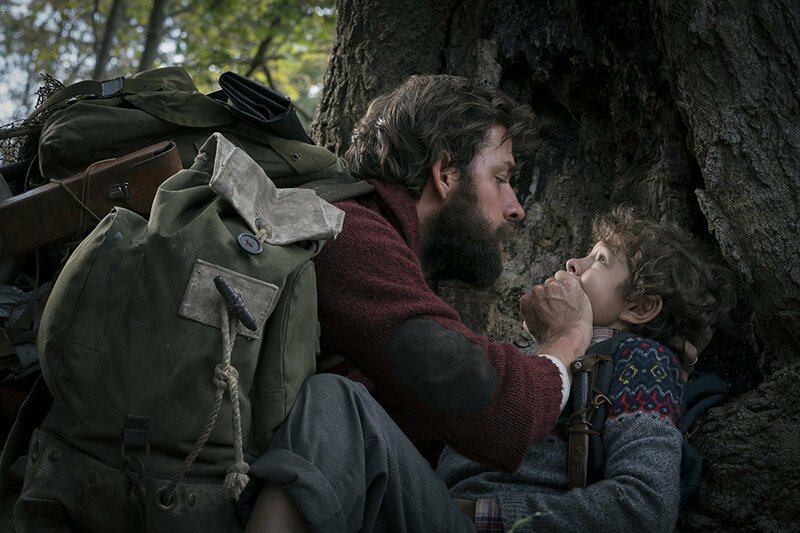 John Krasinski and Noah Jupe in A Quiet Place (2018) – image for this review provided by Paramount Pictures. My favourite aspect of A Quiet Place is just how much we’re left to figure out on our own. The pacing and editing are superb, as the film allows us to move from event to event with just the perfect amount of time with each scene without feeling like it’s just padding a runtime. That pacing, in tandem with performances that evoke empathy and despair, are why A Quiet Place is one of the best horror films of the past decade. 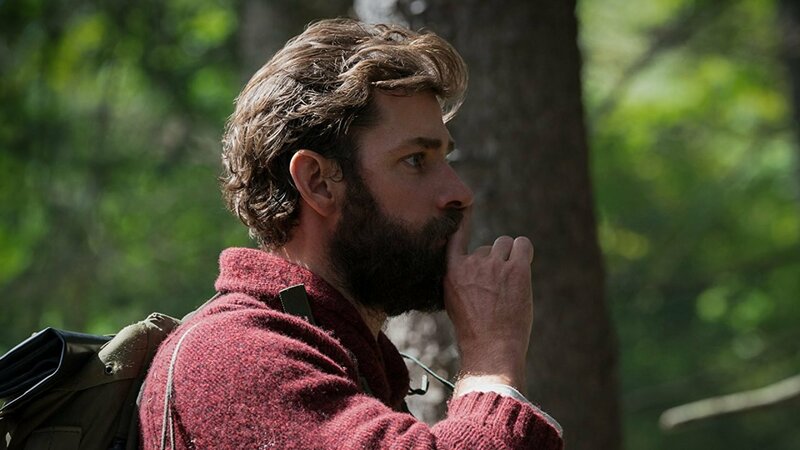 A Quiet Place is a profound horror directorial debut from John Krasinski and immediately draws us into the world without lingering.